She never missed a day and stayed focused all year on school work! Present a Perfect Attendance Medallion for never missing a beat and see a smile light the classroom. 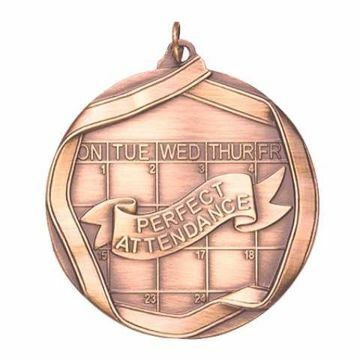 Perfect Attendance Medals come in gold, silver or bronze - include engraving and choice of custom ribbon color.